Many homeowners will face a plumbing clog at some point. Clogs can strike at the most inconvenient times, and if they’re stubborn, you may not be able to fix them on your own. Contact the pros at Schaaf Plumbing & Heating, we proudly provide our customers throughout Bergen County and the surrounding New Jersey area with outstanding drain cleaning services. 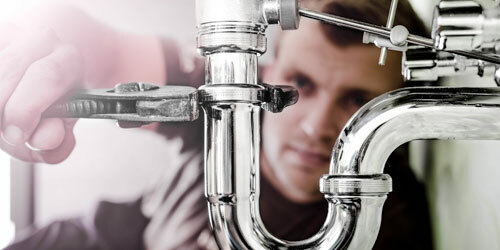 Whether you’re dealing with a complete blockage, or you want to take action before a minor clog becomes more severe, our expert plumbers can assist you at any time of day or night. When you call Schaaf Plumbing & Heating we’ll inspect your drains and unclog them for you at an affordable price. If your pipes happen to need repair, our skilled professionals have the equipment and expertise to fix them right. From cracks to breaks to frozen pipes and more, we are your drain-cleaning experts. No-Hassle. Upfront Pricing. Customer Satisfaction. Our “Project Pricing” means we charge by the job, not the hour. Occasionally some pipe issues require advanced tools, and sometimes the only way to accurately diagnose the situation is with video pipe inspection. When traditional pipe cleaning methods aren’t enough to catch more advanced issues, we employ the use of our specialty mini waterproof video cameras that allow us to visually inspect your pipes. Once we see it, we can properly remove it and repair it correctly. Dealing with a clog? Don’t worry! We have the expertise and drain cleaning equipment to deal with your toughest clog. Since 1941, Schaaf Plumbing & Heating has been providing Bergen County and the surrounding areas with high-quality drain cleaning, repairs and maintenance. We strive to provide our customers with the very best in price, service and workmanship.